As per his Solar Chart, Jupiter will be aspecting his Natal Ketu, till 11th August 2016. Rahu will be transiting over his Natal Jupiter, till 30th January 2016. And Saturn will be transiting over his Natal Sun, retrograde Mercury and Venus (in its detrimental sign) during the entire year ahead. A bigger role in BJP? According to Shatrughn's Solar Horoscope, Ganesha feels that the transit of Saturn and Rahu may have a strong negative influence, and may not allow him to show for anything very special in his career, acting or politics. This no show for now, would include the aspect of being active in BJP- Bihar. He may be more in limelight and of prominence again, around and after the 11th of August, 2016. That is the time when Jupiter will be transiting through Virgo as per his Solar Horoscope. Shatrughn might make odd and unpleasant statements in media which may invite some sort of action or instruction from the central Government resulting in diminishing his popularity and damaging his political career. He may remain prejudiced as well. For Shatrughn, this trend of sharing thoughtless ideas/statements with media could also gain attention of general public and remain in the news. This may not be healthy for him as a MP. This could have cost him dearly as he may have lost out on gaining a responsible portfolio in central Government. Ganesha feels that there are very low chances of him making a comeback in Bollywood. He may not come across any new offers in near future for a new film or project. 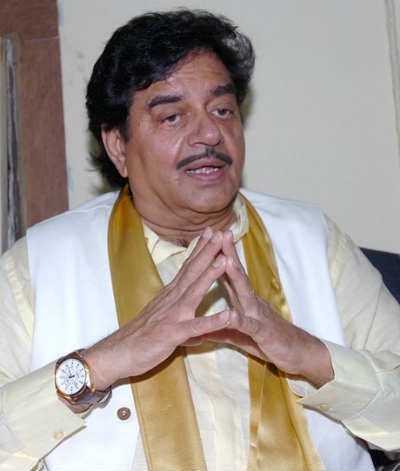 Ganesha finds that, Shatrughan Sinha's career as an actor as well as a politician, may remain static without any special contributions in either of the fields in near future. He will have to be careful with making statements in general which may affect his own popularity and the image of his party. His road ahead may remain as it is till about January 2017, as Saturn will be transiting through the Sign Scorpio as per his Solar Chart. He might also experience an unpleasant and gloomy atmosphere in his married life. Ganesha advises him to be polite, this will help him gain the trust and respect and save his prestige as a politician keeping in view the fame of BJP as well. Ganesha wishes good luck and bright future ahead to Shatrughan Sinha! PN: Due to the unavailability of credible birth-time of the celebrity, the above analysis and predictions have been done basis the Solar Horoscope with the help of his birth-date and birth-place only.